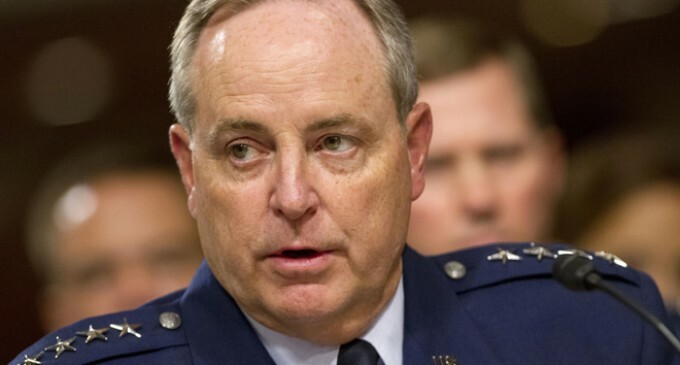 34 nuclear missile officers from the Air Force has been fired due to a ‘cheating scandal’. Supposedly, the officers texted each other the answers to a monthly test of how to operate nuclear missiles. The cheating was discovered during a drug investigation that included two of the 34 officers. As we reported in another post, this is in addition to 197 total officers, including some of the highest level commanders, that have been fired during the years that Obama has taken office. Some of the reasons seem downright ludicrous, like ‘playing with fake poker chips’ and ‘mishandling their weapon’. This has never happened in the history of our country! Retired Army Maj. Gen. Paul E. Vallely states Obama is getting rid of any top commander that won’t adhere to his socialist agenda. Former Navy Seal Ben Smith, claims that commanders are asked if they will fire upon Americans and if the answer is no, they are fired. Thirty-four nuclear missile launch officers have been implicated in a cheating scandal and have been stripped of their certification, and three others have been implicated in a drug probe, in what the Air Force believes is the largest such breach of integrity in the nuclear force, Air Force Secretary Deborah Lee James said Wednesday. The officers apparently texted to each other the answers to a monthly test on their knowledge of how to operate the missiles. The number includes who did the cheating as well as those who may have known about it but did not report it. The cheating, which was discovered during a drug investigation that included two of the 34 officers, is the latest controversy involving the service members who maintain and operate the nation’s 450 nuclear missiles. In all, the drug scandal encompassed 11 Air Force officers across six bases in the U.S. and England. Of the three missile launch officers involved in the drug scandal, two were at Malmstrom Air Force Base in Montana and one was at F.E. Warren Air Force Base, Wyo. The two at Malmstrom were among those implicated in the cheating scandal. The Air Force said the alleged cheating took place late last summer. Last week the Pentagon disclosed the original drug probe of a total of 10 officers — nine lieutenants and one captain — at six bases. It provided few other details beyond saying the officers were suspected of possessing “recreational drugs.” That has now expanded to 11 officers. The Associated Press has reported that the Air Force’s nuclear arm has been weighed down by a series of problems involving security lapses and morale-related issues, leading one officer to complain of “rot” in the force. The original disclosure of a drug investigation said the officers alleged to be involved were at Edwards Air Force Base, Calif.; Schriever Air Force Base, Colo.; Royal Air Force base Lakenheath in England; Vandenberg Air Force Base, Calif., and two bases that operate intercontinental ballistic missiles — F.E. Warren and Malmstrom. You know the drugs are marijuana. The heroin dealers are stealth. Violently exterminate the United States Air Force with extreme prejudice.